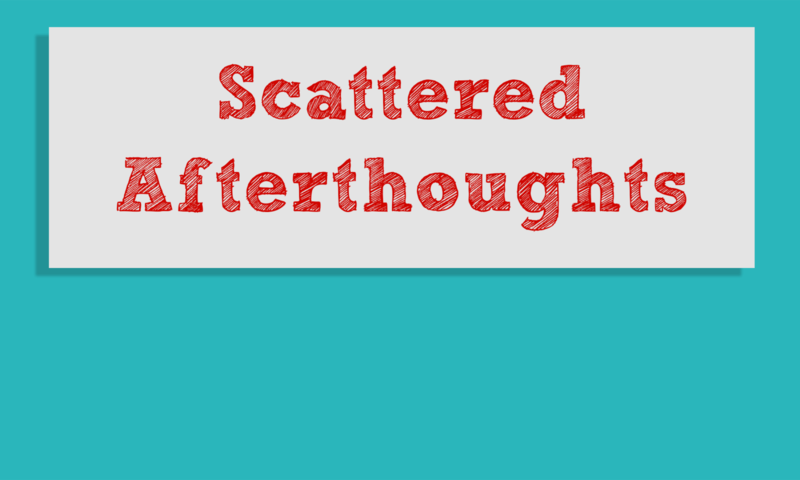 The first episode to the Scattered Afterthoughts Podcast. We talk about our happies and crappies, our favorite childhood t.v. shows, and other things.